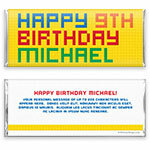 Colorful Lego bricks spell out a fun message on this delightful candy wrapper design. Design: Bright Lego inspired building blocks spell out a message. 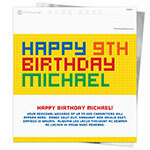 Personalization: Front message, back title and personal message.